This Mother's Day was a really special one because I celebrated it with 25 special mums at Be Urban Wellness, thank you Piegon Malaysian for hosting such a memorable event for all of us. 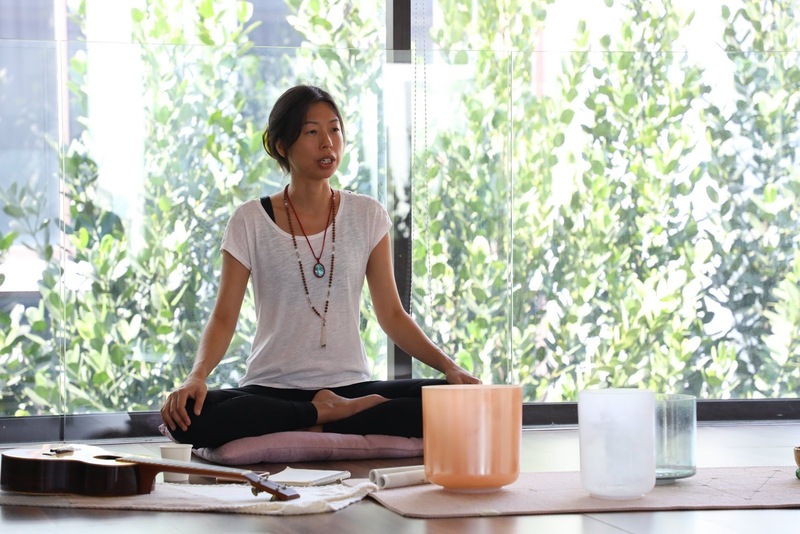 Mummies are always living a busy life, whether it's with the family or work commitments, it can be exhausting and a relaxing session is always in need. So here's what was planned for us, we started off with a Mind Detox and Soundbath Therapy which I absolutely enjoyed, it helps relaxes the body and mind and release pent-up emotion leaving us stress-free after the session. Following up we were pampered with a hand and shoulder massage using Piegon's Newborn Pure Skincare Series and got ourselves a chance to experience the Kegel Chair Massage, an effective way to rebuild strength and endurance to your pelvic floor muscles, it also reduces back and hip pain, and restore vaginal muscle tone and health. 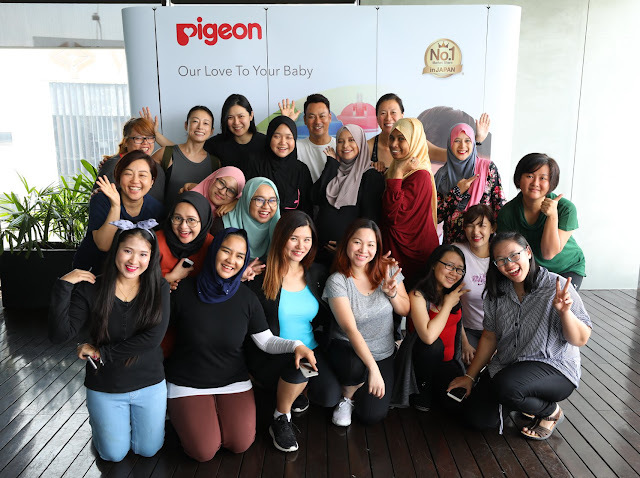 We also had a sharing session to discover how Pigeon products can help to simplify a mum's life. 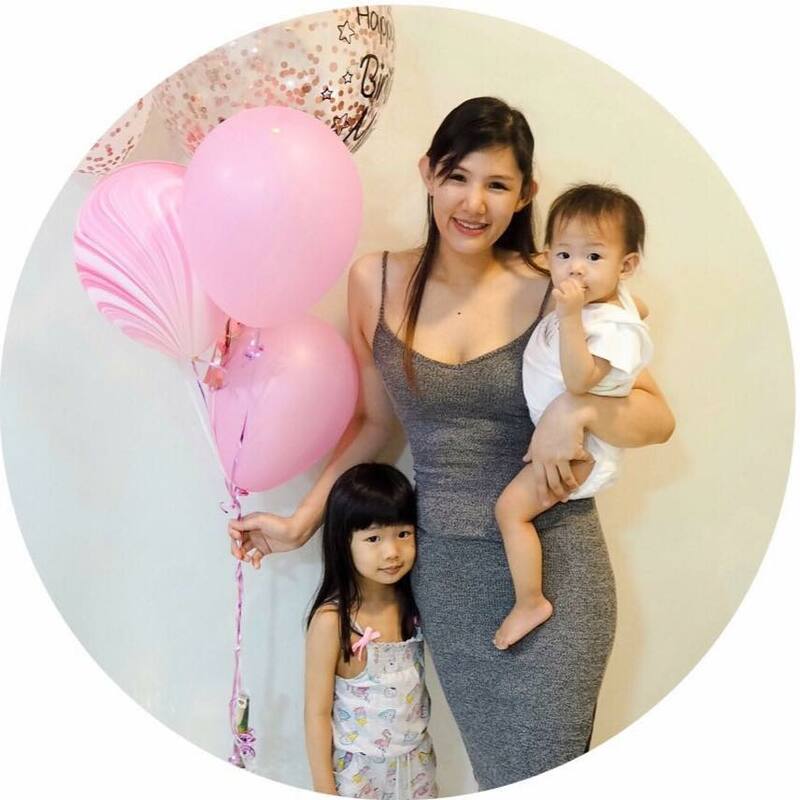 Our host, Vanessa Chong, The Amazing Race Asia star shared " Ever since becoming a mom, I am always cautious of the products I use on her, and will always look for products that are safe. I also tend to pay more attention to the ingredient list to ensure that is is baby friendly." Piegon's Disney Collection features a Nursing Bottle, Mag Mag Training Cup, and Soother in delightful Micky and Minnie Mouse characters. These are definitely gonna make meal time a fun time. The Newborn Pure Skincare Series is the only baby skincare range that provides a dual layer of protection for a newborn's delicate skin from birth. Formulated with Natulayer™, which is similar to the natural forming vernix and ceramide inside a mother's body to hydrate and protects our baby's skin from getting out by locking in moisture. The product is free from paraben, formaldehyde, alcohol, and ingredients with causes irritation making it safe for your babies. The range consists of Nourishing Shampoo, Purifying Body Wash, Moisturizing Lotion, Calming Oil, and Protective Cream all to keep your baby's skin supple, hydrated and nourished. It is important to keep your nursing bottles and accessories clean, Piegon Foaming Cleanser is made of 100% food grade ingredients, the anti-bacterial formula kills 99.99% of bacteria and it's rinsed off easily without causing any harmful effects. The cleanser can also be used to clean fruits and vegetables making it the perfect product that saves one's time. Good oral health starts early, Pigeon Training Toothbrush and Pigeon Toothpaste will help your baby to begin good brushing habits. The toothbrush is available in four sizes to suit baby's development age. The toothpaste is fluoride-free and strawberry flavored to help your little ones enjoy brushing their teeth. I am using pigeon now for my Izzat. Pigeon's products arw cute. Easy to attract our child. Because at his age now, i let Izzat choose whatever he wants. i suka dengan bau lotion pigeon ni.Memang sedap.Me Time tu perlu untuk mommies macam kita ni kan.So harap lepas ni Pigeon akan buat lagi mummy day off ni bolehlah mommy rileks for one day..
Nice to know about Pigeon products which suits for baby needs very well. Surely we need the best products for our babies right. Hey just to ask what the different on broccoli in that cleanser and without cleanser? Pigeon products always be my fav product for be applied to babies <3 The toothbrush really cute and i believe kid will be like it and the will used it everyday..
Mummys day off sounds good. Mummy need rest as well, hehe. It's a good initiative from Pigeon. Bestnya dapat attend program rilex macam ni. Betul, life seorang ibu mmg sentiasa sibuk. Sometimes we need our 'me time' to relax. Sharing session yang menarik by Pigeon, best la all the mommies, i really missed my pregnancy moment last 14 years..hahaha...so long...Pigeon is one of the fav product and trusted by all the mommies out there, my niece and nephew also using Pigeon..
Pigeon ni brand bru ke..tp i dah guna cleanser punya mmg best... Jenama yg bakal setaraf dgn brand2 lain spt Pureen's Anakku dan lain2..
one day, if i get pregnant, i wanna join this kind of session. seems nice and great for your pregnancy. Sorry jia, i just want double confirm, is it pigeon or piegon. Actually, pigeon is one of popular brand among us as a mother, right? Before this i pun ada juga brought brand pigeon for my kids. Wahh bagusnya ada aktiviti mcm ni..boleh buat mummy relax.